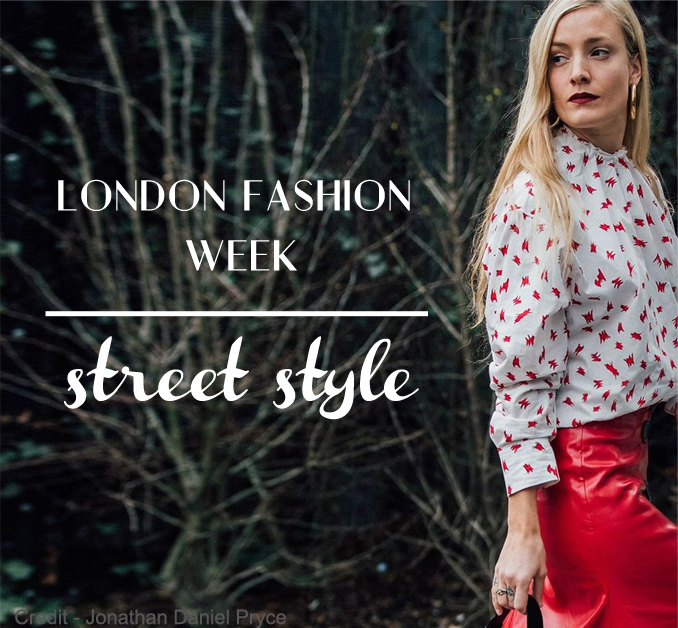 London Fashion Week AW 17 is in it's last few hours so it's time to take a quick look back. Before rounding up the trends in another post let's take a look at the street style. 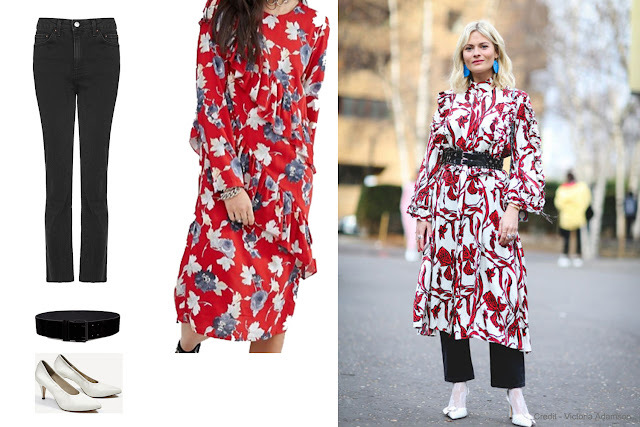 I chose 5 street style looks that I liked most and went through the high-street brands to find the best dupes to recreate the looks. 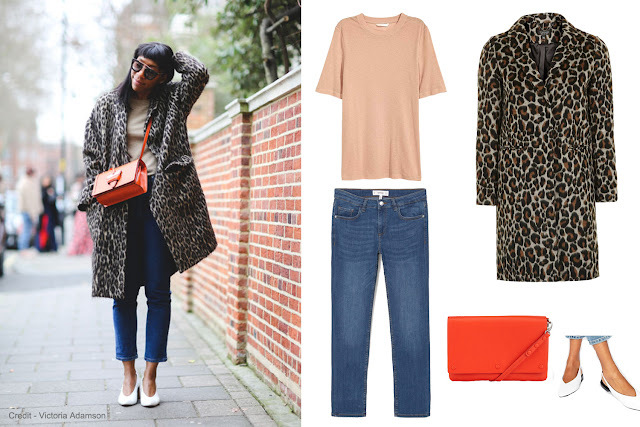 Very basic and simple but brought to life with a leopard coat and a pop of orange. A comfortable but chic look. As Grazia calls this, 'the drouser' trend. Layer a midi dress over a pair of jeans or trousers. Emma Stone was wearing this style in the BAFTAs and many were wearing it on the streets this week which means that it is quite a strong trend. Forget about tights. As soon as I saw this I knew I was going to choose it because of my obsession with this style. Logo t-shirt tucked in a pair of mid-rise jeans and boots. 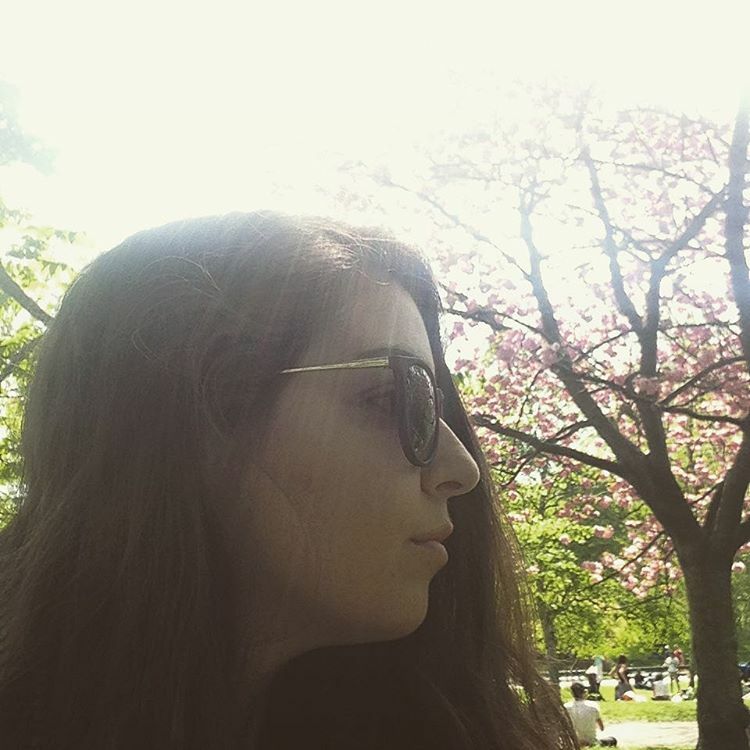 In fact this is similar to last month's pinterest recreation. Oh! And the Asymmetric hemline jeans..must have! 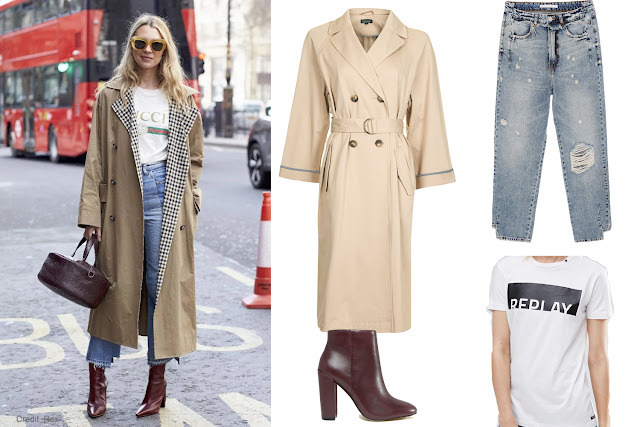 Yet again a basic and plain outfit is styled with a statement coat. 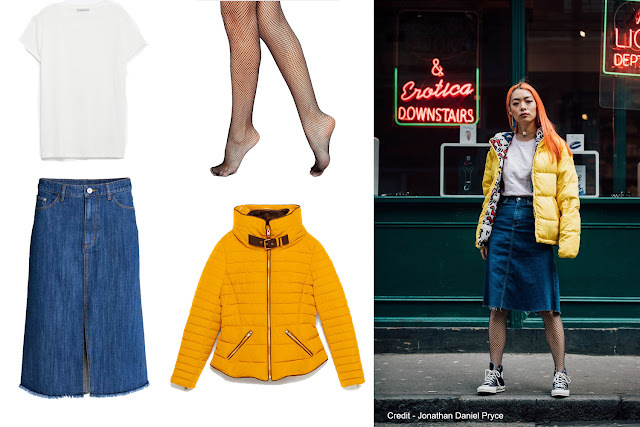 What is more statement than a yellow puffer jacket? Rhetoric question of course. Yellow is and will be everywhere for a while. The professional office look given an amazing flare in this look. A leather pencil skirt paired with a high-neck gingham top and a shell pink coat. The image of perfection. In summary; Denim is what you should be investing in. Four of these outfits are styled with a denim item and there is so much you can do with it including layering it under dresses. Orange, yellow and shell pink are the main colours you should be looking at. Brands will help you because those are the main colours you see right now, especially pink. I'm sure you noticed that pointed shoes are a thing too whatever the style of shoe.